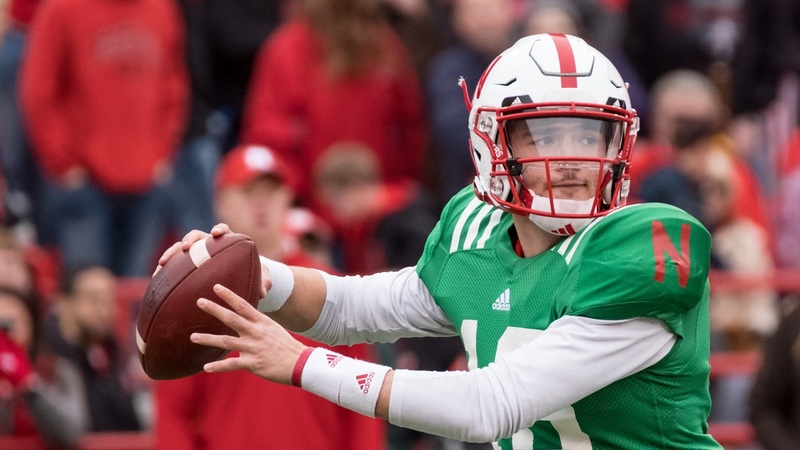 Nebraska's quarterback competition was already going to dominate the Husker football news cycle this August, but what if it includes a candidate many thought to be out of the running this year due to NCAA transfer rules? That candidate would be sophomore Noah Vedral, a Wahoo, Nebraska, native, who would need a waiver from the NCAA to be immediately eligible in 2018. "We're still trying to decide whether we're going to push for that or not," Scott Frost said Thursday. "We'd love to see Noah be able to play. I know what he can do on the football field and he's been as good a teammate this offseason and worked as hard as anybody in our program. So we'll go to bat for him just like we'll go to bat for any player if we have an opportunity to." Vedral joined the Huskers in early January, shortly after UCF completed its season with a win over seventh-ranked Auburn in the Peach Bowl. He enrolled as a walk-on as he didn't have a scholarship release from UCF, a requirement no longer needed for transfers after an NCAA rule change this spring. Vedral was placed on scholarship this summer. Not only is Vedral the quarterback most familiar with Nebraska's new offense, he's the only one on the roster to have appeared in an FBS game. Vedral played in eight games for the Knights in 2017, completing 22-of-29 passes for 276 yards and a touchdown while adding 77 yards rushing on 18 carries with two touchdowns as a backup to McKenzie Milton. Prior to joining the Knights program Vedral starred at Bishop Neumann High School where he amassed 4,561 passing yards and 42 passing touchdowns along with 2,250 rushing yards and 35 touchdowns on the ground over his career.